Eide, Asbjørn & Skre, Alf Butenschøn (2013). The human right to benefit from advances in science and promotion of openly accessible publications. Nordic Journal of Human Rights. ISSN 1891-8131. 31(3), s 427- 454 Fulltekst i vitenarkiv. Kapittel på engelsk i en i all hovedsak tyskspråkling antologi gitt ut til ære for Peter J. Opitz i anledning av hans pensjonering fra Ludwig Maximilians-Universität München. Forord av Bruno Simma. Eide, Asbjørn (2000). Citizenship and human righs law, In Nils A Butenschøn; Uri Davis & Manuel Hassassian (ed. ), Citizenship and the state in the Middle Easy. Syracuse University Press. ISBN 0-8156-2829-3. This is the chapter on economic and social and cultural rights in a UNESCO manual on international human rights law. Noen innvender at sult og feilernæring ikke er et rettighetsproblem. Slike innvendingerbaserer seg på antikverte forestillinger om at menneskerettighetene i det vesentlige består i frihet fra statens maktutøvelse.I virkeligheten representerer menneskerettighetene minimumsstandarderelelr spilleregler for enhver utviklingsprosess, herunder sikring av en jevt tilførsel av mat og vann.Utvikling og menneskerettigheter er i stor grad to sider av samme sak, skriver Asbjørn Eide og Siri Damman. Eide, Asbjørn (1999). Article 28, I: Gudmundur Alfredsson & Asbjørn EIde (red. ), Universal Declaration of Human Rights. Kluwer Academic Publishers. ISBN 90-411-1168-9. Eide, Asbjørn (1999). The non-inclusion of minority rights, In Gudmundur Alfredsson & Asbjørn Eide (ed. ), The Universal Declaration of Human Rights. Brill Nijhoff. ISBN 90-411-1168-9. Eide, Asbjørn & Källström, Kent (1999). Article 23 - the right to work, In Gudmundur Alfredsson & Asbjørn Eide (ed. ), The Universal Declaration of Human Rights. Brill Nijhoff. ISBN 90-411-1168-9. Eide, Asbjørn (1998). Freedom from want: Taking economic and social rights seriously, In Barend van der Heijden & Bahia Tahzib-Lie (ed. ), Reflections on the Universal Declaration of Human Rights. Brill Nijhoff. ISBN 90-411-1046-1. Fra acknowledgements: "This volume developed from a selection of papers presented ata symposium held at the University of Warwick, 5-8 November 1993, under the auspices of UNESCO, entitled 'Emerging trends and major issues in migration and ethnic relations in Western and Eastern Europe'. Our warm thanks [...] "
EIde, Asbjørn & Moller, JT (ed.) (2011). Making Peoples Heard: Essays on Human Rights in Honour of Gudmundur Alfredsson. Brill Nijhoff. ISBN 978-9004-19191-4. 643 s.
Eide, Asbjørn; Krause, Catarina & Rosas, Allan (ed.) (2001). Economic, Social and Cultural Rights - A textbook. Brill Nijhoff. ISBN 90-411-1613-3. Eide, Asbjørn; Krause, Catarina & Rosas, Allan (2001). Economic, Social and Cultural Rights - A textbook (Second revised edition). Brill Nijhoff. ISBN 90-411-1613-3. 785 s.
The accelerating process of globalization poses new challenges and opportunities for the realization of human rights world. The process is largely driven by transnational corporations with resources and economic power which by far outstrips that of many states. The petroleum industry is the forefront among these corporations. Some of them came under intense scrutiny during the last decade of the previous century, such as Shell in its relationship to Nigeria. Several of the petroleum corporations are now recognizing their responsibility and are seeking to develop new policies. This study is the first comprehensive description and analysis of the role and policies of transnational corporations in regard to human rights. Unique in its field, the pioneering studies in this book are written by leading experts and practitioners in the field. They explore the nature of the challenge facing Shell and the other major petroleum corporations, the demands set by the international community, and the soul-searching responses within the corporations. The studies contained in this book are likely to play a major role in the emerging debate on how the transnational corporations can meet their social responsibility for human rights in the countries of operation and be held accountable to the international community. Alfredsson, Gudmundur & EIde, Asbjørn (red.) (1999). Universal Declaration of Human Rights. Kluwer Academic Publishers. ISBN 90-411-1168-9. Alfredsson, Gudmundur & Eide, Asbjørn (ed.) (1999). The Universal Declaration of Human Rights. Brill Nijhoff. ISBN 90-411-1168-9. Alfredsson, Gudmundur & Eide, Asbjørn (ed.) (1999). The Universal Declaration of Human Rights. A Common Standard of Achievement. Brill Nijhoff. ISBN 90-411-1168-9. Eide, Asbjørn & Alfredsson, Gudmundur (1999). Universal Declaration of Human Rights: A Common standard of achievement. Brill Nijhoff. ISBN 90-411-1168-9. 782 s.
Eide, Asbjørn & Eide, Wenche Barth (1999). Article 25 - the right to an adequate standard of living. Kluwer Academic Publishers. ISBN 90-411-1168-9. 28 s.
Eide, Asbjørn & Hagtvet, Bernt (ed.) (1996). Conditions for civilized politics : political regimes and compliance with human rights. Blackwell, London. Eide, Asbjørn; Gleditsch, Nils Petter; Christensen, Arne Magnus; Torvanger, Asbjørn; Haavelsrud, Magnus & Thee, Marek (1989). Unesco Yearbook on Peace and Conflict Studies 1987: Part 1: The Impact on the Arms Race on Education, Science and Technology, and Culture and Communication. Unesco and Greenwood Press. ISBN 92-3-102565-1. 327 s.
Andreassen, Bård Anders & EIde, Asbjørn (ed.) (1988). Human Rights in Developing Countries 1987-88. Academic Press. ISBN 87-500-27441. 372 s.
Tømte, Aksel; Eide, Asbjørn; Eide, Wenche Barth & Erdal, Marit (ed.) (2017). Investments and Land Rights : the role of the private sector in ensuring responsible governance of tenure. NCHR Occasional Paper Series. 8/2017. Andreassen, Bård Anders; Sengupta, Arjun; Marks, Stephen P & Eide, Asbjørn (2006). The right to Development and human rights in Development. A Background Paper. (Prepared for the Nobel Symposium 125, 2003). Research Notes. 7. Eide, Asbjørn (2006). Review of the legal debate on economic, social and cultural rights ans the Optional Protocol to the Covenant on economic, social and cultural rights (CESCR). 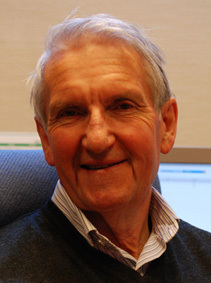 Eide, Asbjørn (2006). Workshop convenor: Economic, social and cultural rights: The right to food and the right to health. Andreassen, Bård Anders; Eide, Asbjørn; Marks, Stephen P. & Sengupta, Arjun (2003). The Right to Development and Human Rights in Development:A Background Paper. Eide, Asbjørn (2003). A human rights odyssey: From Jimmy Carter to nine/eleven and beyond. Eide, Asbjørn (2003). State Obligations under the International Covenant on Economic, Social and Cultural Rights - A brief position paper. Eide, Asbjørn (2002). International Standards on Freedom From Discrimination. Eide, Asbjørn (2002). International Standards on the Human Rights of Vulnerable Groups. Eide, Asbjørn (2002). Terrorism and human rights : the Sub-Commission debate. Eide, Asbjørn (2002). The Right to Food in the Framework of Hunger Education Strategies. Eide, Asbjørn & Alfredsson, Gudmundur (2002). Human Rights and Muntinational Companies: The Increasing Relevance of International Human Rights Standards. Eide, Asbjørn (2001). USA etter 11. september. Eide, Asbjørn (2000). Forelesning (masterkurs). Eide, Asbjørn (2000). Forelesninger (2 stk). Eide, Asbjørn (2000). Forelesninger (3 stk). The report summarises results from a six months research project on the human rights situation in Azerbaijan and is one of four studies that together form a larger research endeavour on linkages between petroleum investments and human rights, commissioned by Statoil and British Petroleum. The report is based on secondary sources. Eide, Asbjørn (1998). Minorities in a decentralized environment.